June 16, 2018 June 16, 2018 Dan O. Look out, Marvel. They’re back. Picking up right where the first one left-off, we find the Incredibles back to doing what they do best: Stopping crime and saving lives. However, with superheroes still being banned in the country, they’ve fallen on hard times and without much sympathy in the public spotlight; they’re forced to return to their normal, relatively boring lives as a simple, middle-class family in 60’s-America. However, that all changes when a pair of billionaire siblings (Bob Odenkirk and Catherine Keener) decide that it’s time for superheroes to become legal again and entrust Elastigirl (Holly Hunter) to lead the charge. She’s more than up to the task, however, this leaves Mr. Incredible (Craig T. Nelson), at home, with the kids, and without the faintest clue of what to do. But he sticks with it, for the greater good of society and to hope that one day, superheroes will be allowed to do what they should be able to do in this world: Save it. Literally, 14 years later and here we are. Incredibles 2 already has a rough task against of it of playing-up against one of the greatest Pixar films of quite some time, but also has to go past the fact the fact that it’s almost taken them two decades to do so. What was the hold-up for? Better question is, who cares? Mostly though, the whole cast and crew of the original is back and you can tell; the movie literally picks things up as if we never left this family of crime-fighting superheroes and it’s a bit of a lovely sight to see, especially if you’re someone such as myself who’s been waiting many, many years for this. And as per usual, Brad Bird directs this thing with every ounce of creativity, fun, excitement, and joy that he could have possibly mustered; even if I’m still a little bummed that he screwed the pooch on Tomorrowland, he shows that his true home is animation and it’s why there’s nobody better when it comes to creating some of the most lively bits of animation ever put to the screen. Unfortunately, the praise kind of stops there. The only real issue that the Incredibles 2 runs into is that it doesn’t ever feel like it’s taking all that many risks or chances that not just the original was known for, but Pixar as a whole, is known for. The story is a little thread-bare with the occasional flight of fancy and fun, but mostly, it’s just a conventional story of a family overcoming internal-strife, a villain trying to control the world, and good trying to overcome the evil that is in said world. Sure, it’s what we expect from our kids movies and it’s definitely what we expect from most movies in general, but why did it all feel so boring here? I’ve never wanted to kidnap a baby before, but I may have to change my mind. 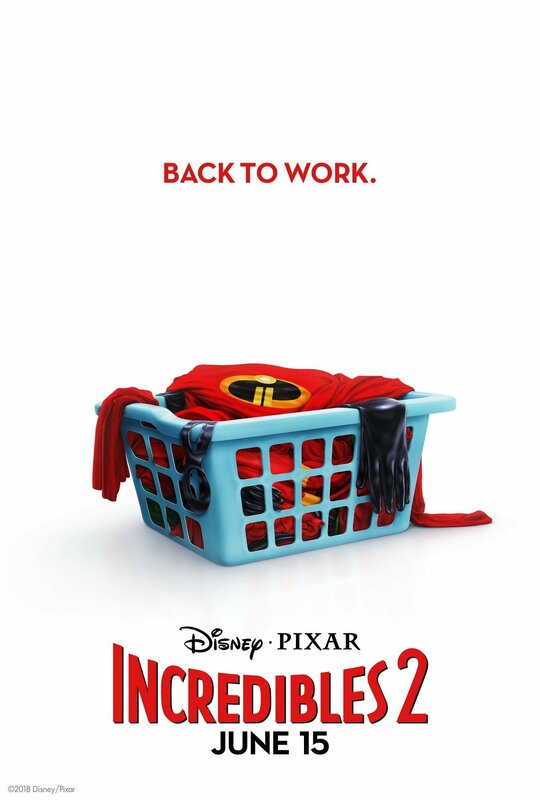 Incredibles 2 isn’t necessarily a boring movie because there’s always something bright and colorful to look at, something funny to point at, and a small bit of interesting material to hint at, but it never goes above and beyond that and it feels like it’s a missed-opportunity, especially considering all who is involved. Maybe it was the 14-year wait that made it feel like something should have been better? Or maybe it was just that everything Bird and company did in the first, was lovely and original then, literally 14 years ago, but needed something of an update now? Even the Cold War-era 60′-setting promises something compelling, but mostly, just feels like an excuse for there to be even more sight-gags on the days of yesteryear. Once again, still fine, still fine, and still pretty damn enjoyable. But still, something feels left out and it hurts the 5th-grader within me. Ouch. Consensus: While it’s nice to have everyone back and in good graces, Incredibles 2 takes a relatively simple and plain story to an otherwise extraordinary original, making the sequel seem perfectly fine and fun, but of course, not much more.